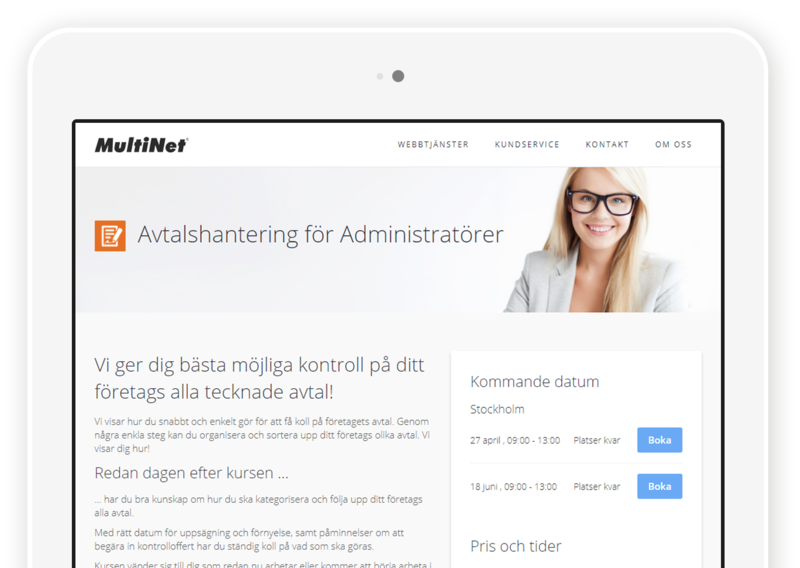 Digitalize your course administration with EduAdmin. Plenty of companies in the education business have already started, and have seen the amazing results - We are convinced that you'll experience the same positive changes, both administratively and economically. Find your customers information and previous bookings and see that you've been paid with ease, and create confirmations, invitations, lists of participants, course certificates, name badges and invoices with just a few clicks. Update everything regarding your courses in one system. Mirror the information to your web page and let your customers book directly online. Automatic or manual tasks for important milestones before, during and after the courses. EduAdmin reminds you, making you work proactively. EduAdmin sends automatic confirmations, invitations and reminders through e-mail and SMS, to participants, course leaders and others. Find the right course leader and facility to your course, see if its available and let EduAdmin calculate the costs. Once a booking is in EduAdmin, the invoice is ready to be sent. 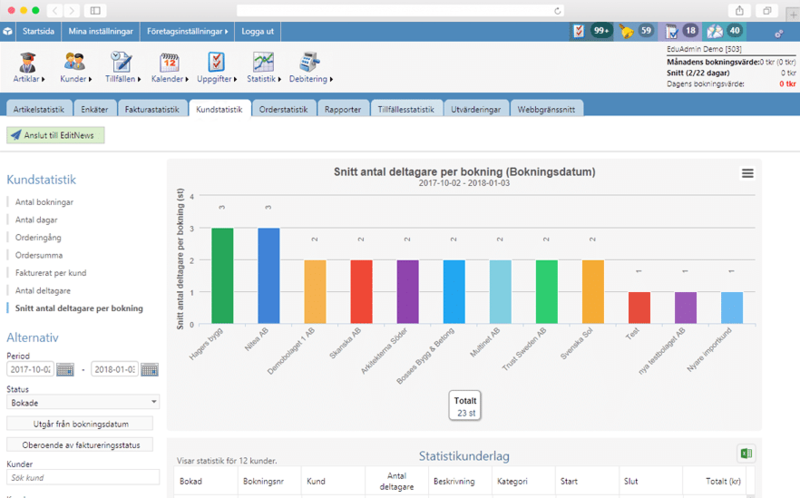 Save tons of time and effort by integrating EduAdmin with your financing system. It's easy to create an automated invoicing solution, from booking until the money is in your hands. Get complete control over how your business is doing. Use our statistics to see what courses to invest more in, how the bookings are distributed over your customers and much, much more. Connect certificates to a person after they've fulfilled the requirements, and let EduAdmin keep you up to date when the certificates expire! Create one or more evaluation forms and connect them to your courses. Automatically invite your participants to fill them in after they've completed the course. Let your course holders / lectures log in to their own interface, where they can see and print out a list of participants, and register attendance. Use our REST API to integrate EduAdmin with other applications. Genuine web service. Platform independent.